Help Aisling free The Dreamlands from The Mourner! The Dreamlands: Aisling's Quest is an adventure game that blends fantasy and mystery elements to present a gripping story. One day, Aisling experienced an event that opened the way for a mysterious being that transports her into a world shaped by her dreams and nightmares. There, she learns about The Mourner, a dark entity that is covering and corrupting the land. Aisling must go on a quest to recover three treasures that will help her face The Mourner, bringing peace to the Dreamlands and ultimately to herself. 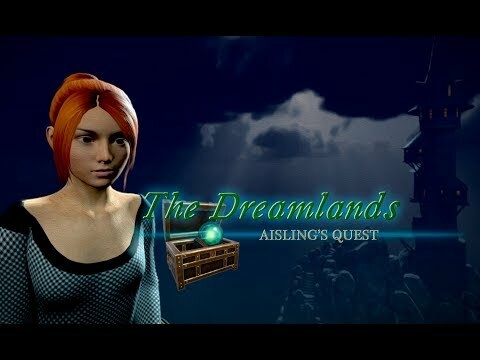 The Dreamlands: Aisling’s Quest was released on PS4 and PS Vita 256d ago in the US and the UK. Notify me when The Dreamlands: Aisling’s Quest is available.